Launched and ready to go! The rain held off for our launch event 25 February where we presented our Sustainable Neighbourhood Action Plan to local residents. 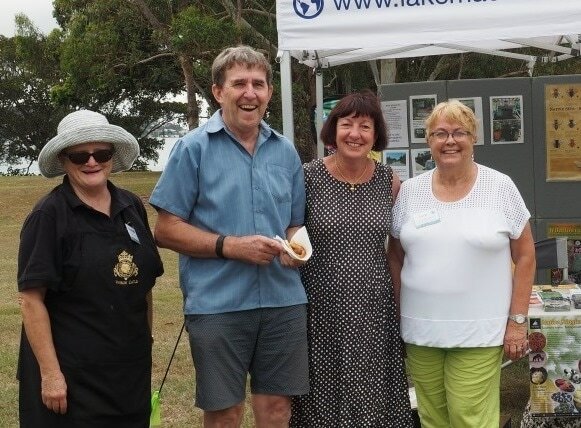 Mayor of Lake Macquarie, Councillor Kay Fraser, Councillor Wendy Harrison and Councillor David Belcher attended, and were impressed with the enthusiasm of the Group. 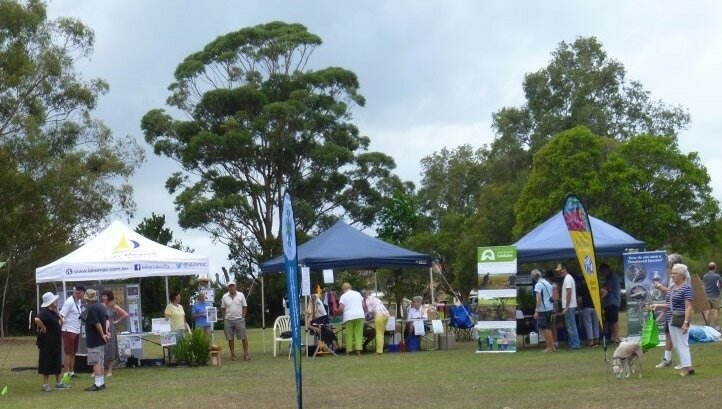 A steady stream of local residents were interested to look at our displays, and were keen to join up on the day. 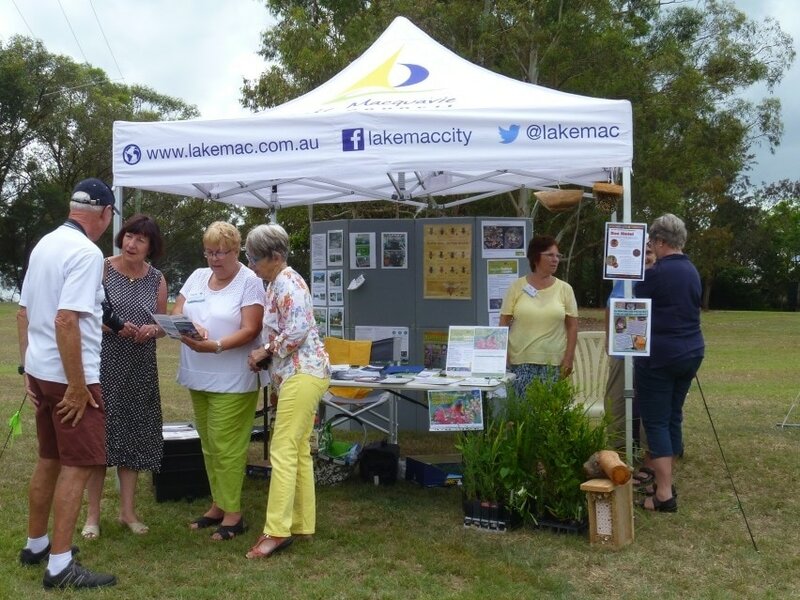 Our displays including native bee hotels, and information about local recycling services. We also displayed a large pile of litter that had been collected over several days from our local park. 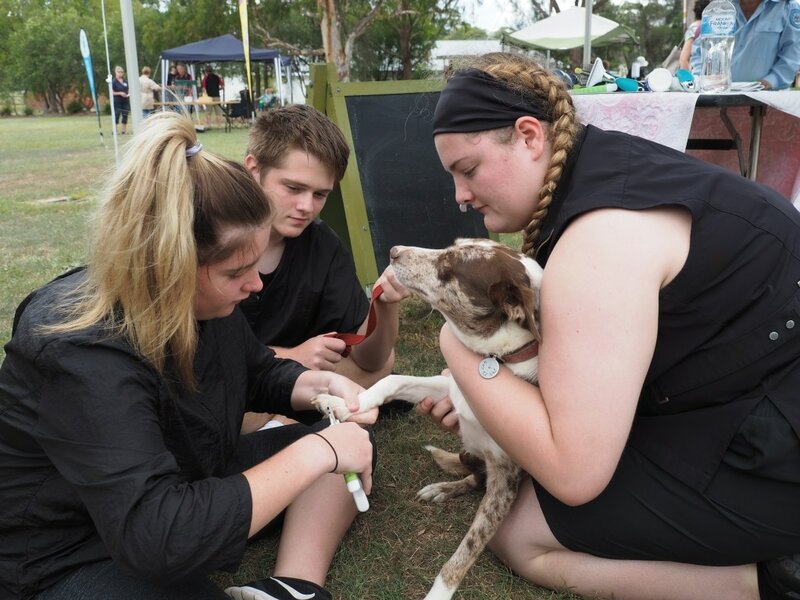 The Wangi Mens’ Shed, local Landcare, and Council Rangers also held displays, and the local Pet Care were on hand to give free nail clipping and brushing for dogs. A barbeque and raffle with food and prizes donated by local shop owners raised funds to help the Group get started on some projects which will benefit residents of Rathmines and surrounding areas. The event was great way to kick off our group, and to increase community awareness of our possible projects. advocating for a shared pathway between Rathmines and Kilaben Bay. We'd love to see you at our next meeting. 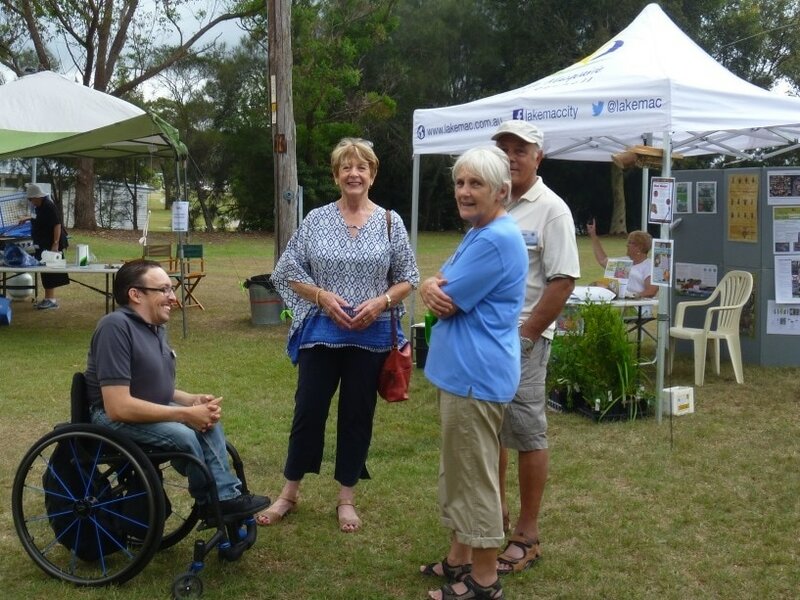 Come along to meet your neighbours or to suggest a project idea. Find out more about how to get involved.